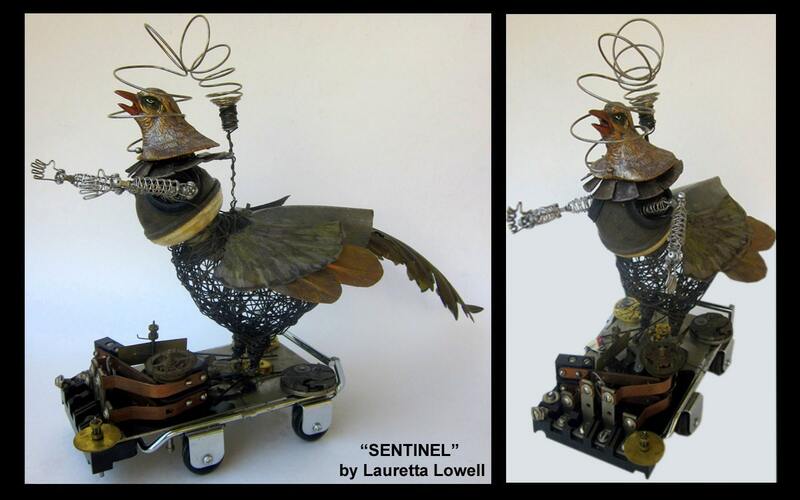 16"L x 12"H x 5"W steampunk bird called "The Sentinel". Made from wire and metal, watch parts and gears. VERY unusual. JunkArchitect writes: You always use such an eclectic bunch of components...I love it! georgiamoon writes: WOW...that about sums it up on this one! B-I-N-G-O...and BINGO was his name-o!